Viktor Orban easily wins third consecutive term, according to preliminary results from Hungarian election. Hungarian Prime Minister Viktor Orban easily won a third consecutive term on Sunday, The Associated Press reported, citing preliminary results from the country's election. Orban’s Fidesz party was also poised to regain its super majority in parliament, the results found. With 84.7 percent of the votes counted, Fidesz and its small ally, the Christian Democrat party, had secured 133 of the 199 seats in the legislature, the minimum needed for a two-thirds majority. The right-wing nationalist Jobbik party placed second with 26 seats, while a Socialist-led, left-wing coalition ran third with 20. Only two other parties, former Prime Minister Ferenc Gyurcsany's Democratic Coalition and the green Politics Can Be Different party were expected to surpass the 5 percent threshold needed to form a parliamentary faction, noted AP. Orban has campaigned heavily on his unyielding anti-migration policies. He claims that the opposition is collaborating with the United Nations, the European Union and wealthy philanthropist George Soros to turn Hungary into an "immigrant country," threatening its security and Christian identity. 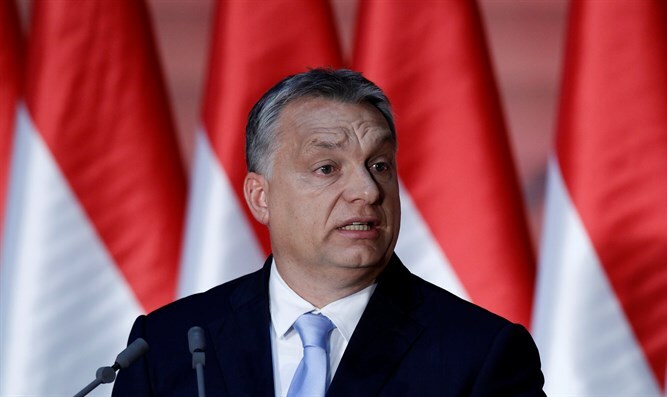 Jewish groups in Hungary have sometimes accused Orban's right-wing government, in power since 2010, of downplaying Hungary's role in the Holocaust during which some 600,000 Hungarian Jews perished. In 2015, however, Orban admitted his country’s role in the Holocaust, saying many Hungarians chose "bad instead of good" in helping deport Jews to Nazi death camps. He has also come under fire for failing to condemn the anti-Semitism of the Jobbik party.